SneakerNew is both a bright colorful and creative design from LeThemes and multifunctional premium WordPress theme. You may build a nice looking fashion e-selling website or just online catalogue of goods with contact infomation about your shop and perhaps feedback form. For sure comments are supported as well if you want to let people make reviews about your services of products. 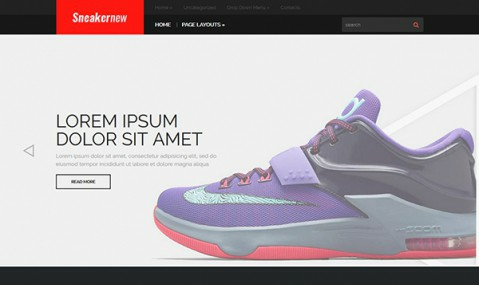 Win trust of your customers with SneakerNew creative WordPress theme and well crafted site of your company. Download lite version of the theme or get a full one with a year subscription.